Application - It is important to remember that, as with any self-adhesive product, the surface to which you are applying the Bumpon must be clean, dry and free from dust, dirt and any other contaminates. It is important therefore to clean the surface thoroughly, using a low strength solvent and following the manufacturers instructions for safety. As in all applications it is up to the user to satisfy themselves as to the suitability of the product for the intended application. Specialists in Adhesive Rubber Bumper Feet. Universally known as bumper feet, rubber feet, self-adhesive rubber feet and door buffers, the resilient nature and ease of application of these simple but effective products make them a natural choice for protection in a number of industries and applications. The StickyStuff Company's self-adhesive polyurethane rubber feet are extremely hard wearing and durable. They possess excellent sound dampening, anti-slip, anti-skid and anti-vibration properties, they also permit heat dissipation, have a superb coefficient of friction and are crack resilient. Our bumper feet are manufactured to exacting tolerances and are of the highest quality. All of our bumpers are rigorously tested: they are guaranteed not to scratch or mark any component surface, are 100% UV resistant and will not yellow with age. Fast Service – Most rubber feet are supplied from stock / Next day delivery in the UK. Competitive Prices – Compare our prices to other suppliers. Flexibility – We can also produce bespoke quantities on request. Quality – Our bumper feet are guaranteed. Information on Rubber & Bumper Feet. For further information on our products, please complete our online enquiry form, or contact us direct and speak to our sales office, on +44(0)7912 391525, who will be delighted to assist you in choosing the correct self-adhesive bumper for your application. 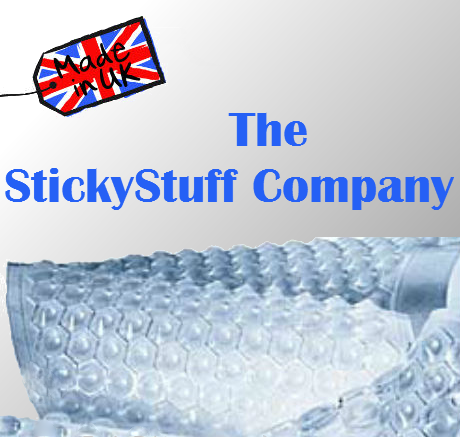 To all of you, from all of us at The StickyStuff Company - Thank you.